The Trump Administration released its fiscal year (FY) 2018 budget request on May 23. The budget seeks dramatic reductions totaling $3.6 trillion across nearly every department of the federal government, including most science and research agencies. COSSA has prepared an in-depth analysis of the FY 2018 budget request, which includes details on the President’s proposals for the dozens of departments, agencies, and programs of interest to social and behavioral science researchers. The release of the President’s budget request marks the official start of the FY 2018 appropriations process, though some Congressional committees have already begun holding their oversight hearings even without a budget in front of them. It is important to remember that the President’s budget is just one step in the annual appropriations process. Congress still holds the power of the purse. As always, COSSA will report on ongoing developments in the FY 2018 appropriations process in the COSSA Washington Update. 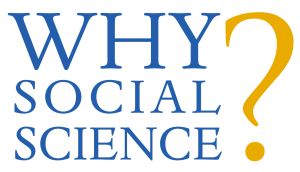 This week’s Why Social Scien ce? guest post comes from John Tessitore, Senior Program Advisor at the American Academy of Arts & Sciences, who writes about how findings from the social sciences helped inform the Academy’s recent report, “America’s Languages: Investing in Language Education in the 21st Century.” Read it here and subscribe. COSSA joined dozens of scientific societies and research universities on a letter to Congressional leaders, sent on May 24, urging them to reject the Trump Administration’s proposed cuts to science agencies including the National Institutes of Health, National Science Foundation, Department of Energy, Department of Agriculture, and more. Similarly, in a Dear Colleague letter sent to the Chair and Ranking Member of the Appropriations Subcommittee responsible for the Commerce, Justice, Science Appropriations bill, 29 Senators expressed their support for the National Science Foundation. The letter calls for the National Science Foundation to receive at least $8 billion in fiscal year 2018 to help ensure the U.S. will remain a world economic leader. The Environmental Protection Agency’s (EPA) Board of Scientific Counselors (BOSC) is accepting nominations for new members. The BOSC advises the EPA’s Office of Research and Development on technical and management issues related to its research programs: Air, Climate, and Energy; Chemical Safety for Sustainability; Human Health Risk Assessment; Homeland Security; Safe and Sustainable Water Resources; and Sustainable and Healthy Communities. EPA is seeking nominees with expertise in the following fields (among others): climate/global change, public health, exposure science, risk assessment, sustainability, science policy, program evaluation, social science, behavioral science, and decision science. Nominations are due by June 30, 2017. More information is available in the Federal Register notice. On May 17, the House Appropriations Subcommittee on Labor, Health and Human Services, Education and Related Agencies (LHHS) held an oversight hearing to discuss the advances in biomedical research by the National Institutes of Health (NIH). NIH Director Francis Collins was accompanied by Institute directors Anthony Fauci (Allergy and Infectious Diseases), Gary Gibbons (Heart, Lung, and Blood), Joshua Gordon (Mental Health), Doug Lowy (Cancer), and Nora Volkow (Drug Abuse).